Werleshausen is a very old village. Formerly independent, Werleshausen now belongs to the city of Witzenhausen in the Werra-Meißner district, Federal State Hesse, Germany. You will find Werleshausen in the circle of this map of Germany. 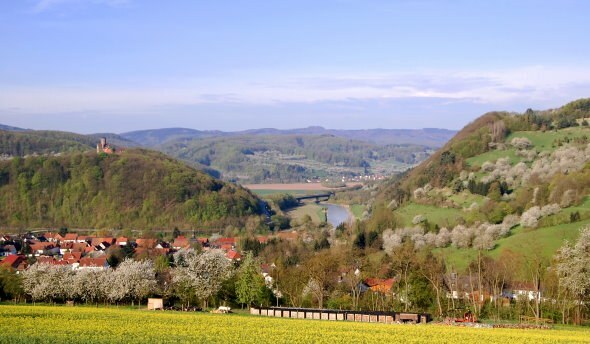 Werleshausen is located in the northern part of Hesse, in the middle of Germany on the Federal Highways B27 and B80, the German Railway's north-south main line and the river Werra. It is situated on the romantic holiday routes known as the "German Holiday Road" which runs from the Alps to the Baltic sea, and the "German fairy-tale route".